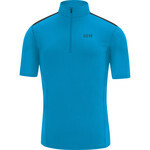 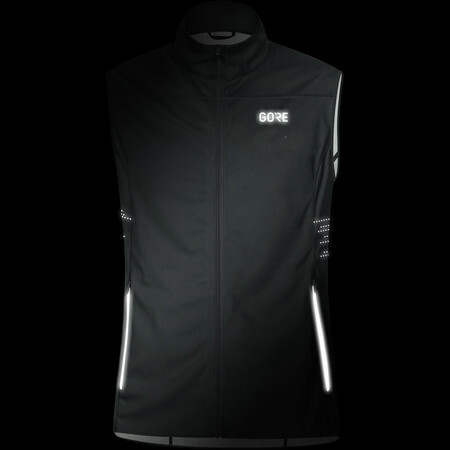 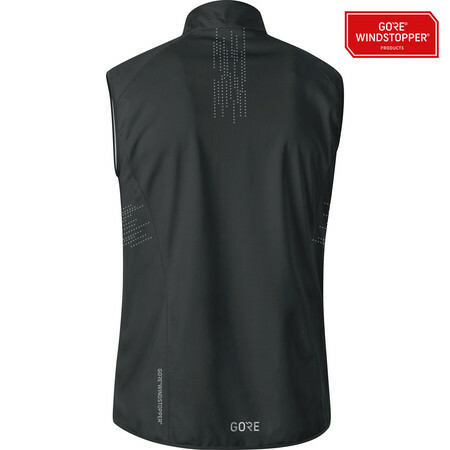 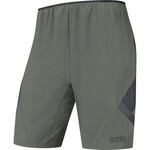 This fully windproof and highly water resistant Gore running gilet has been design updated to the latest sport fashion. 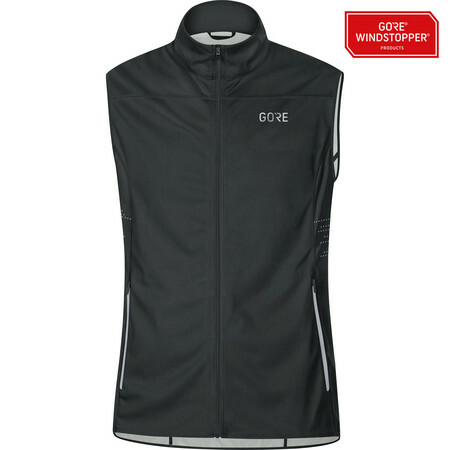 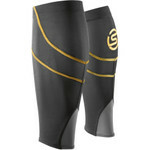 It will protect you against the elements and at the same time give you maximum freedom of movement when you want to go fast. 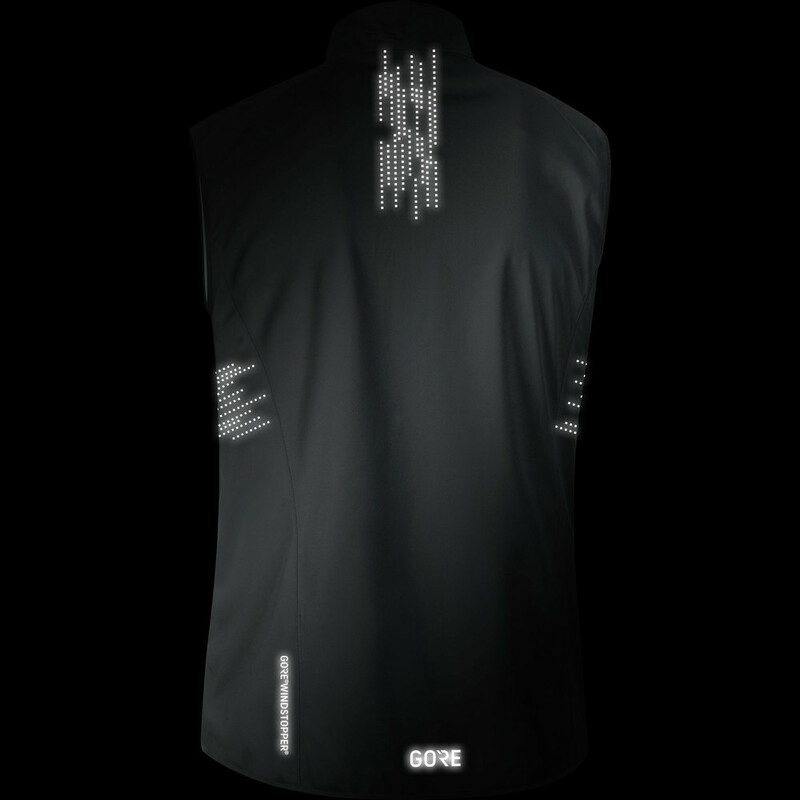 The soft shell is figure hugging and noise-free, with plenitude of reflective prints for safe running in low light conditions.